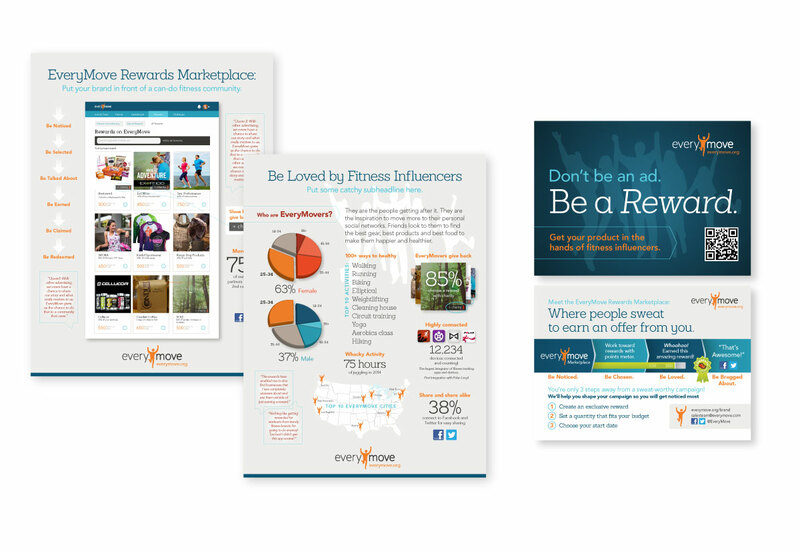 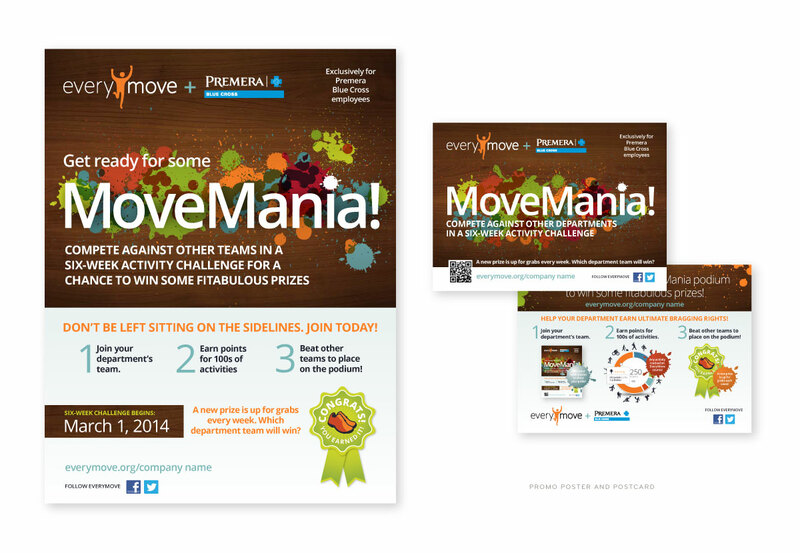 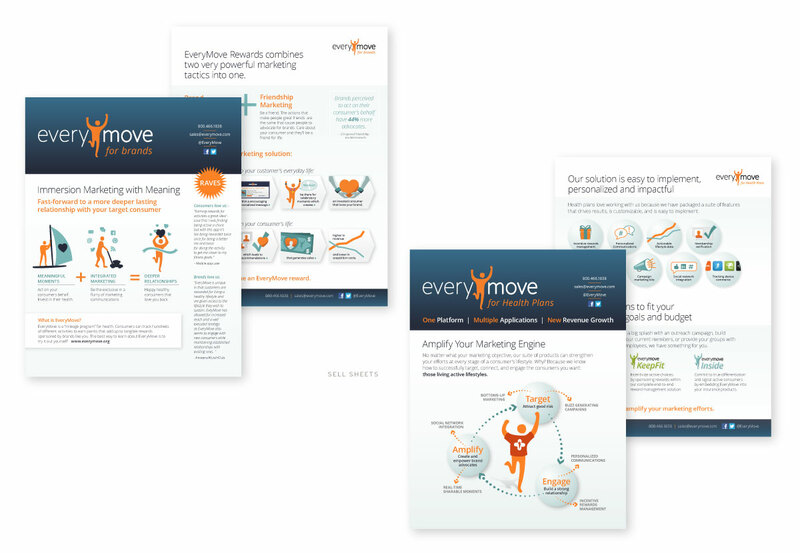 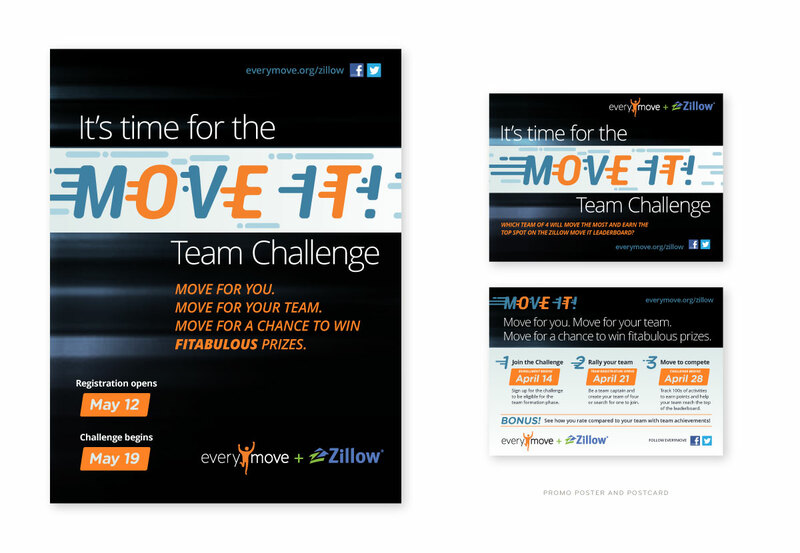 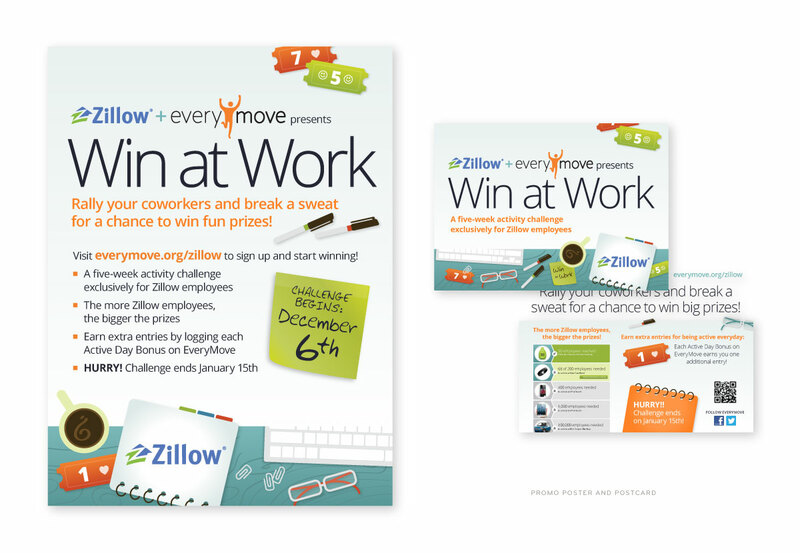 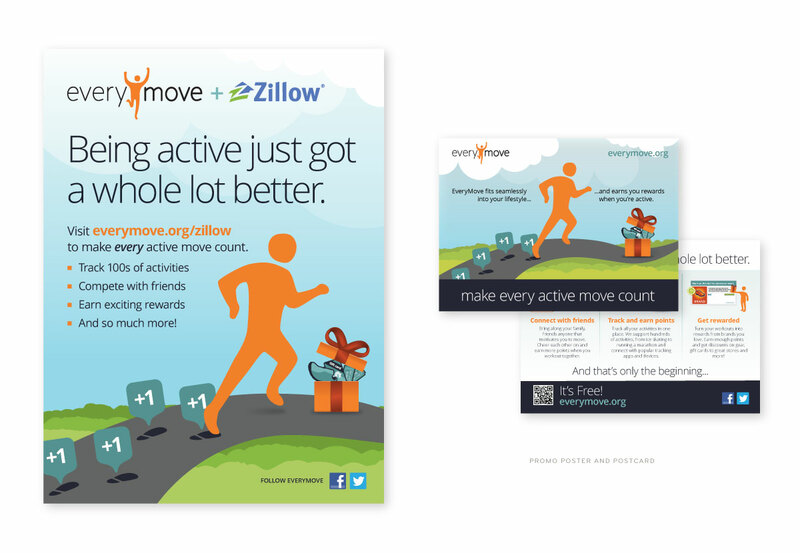 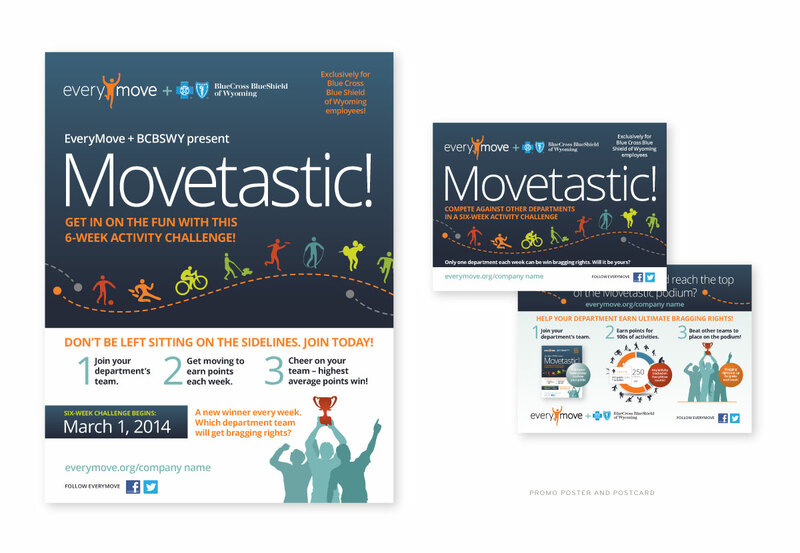 Partnering with Healthcare providers and employers, Everymove’s goal is to get people active and be rewarded for it. 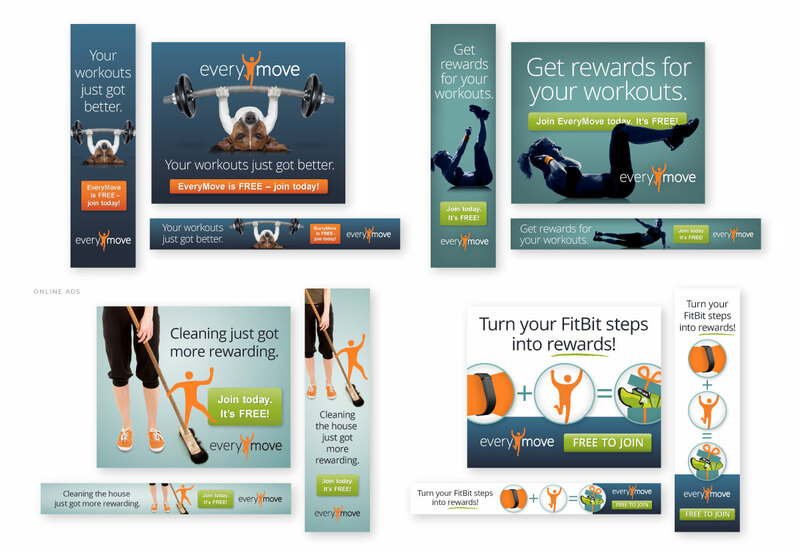 This concept caught on fast and they quickly outgrew their internal design department and wanted a fresh look for the pile of needed collateral. 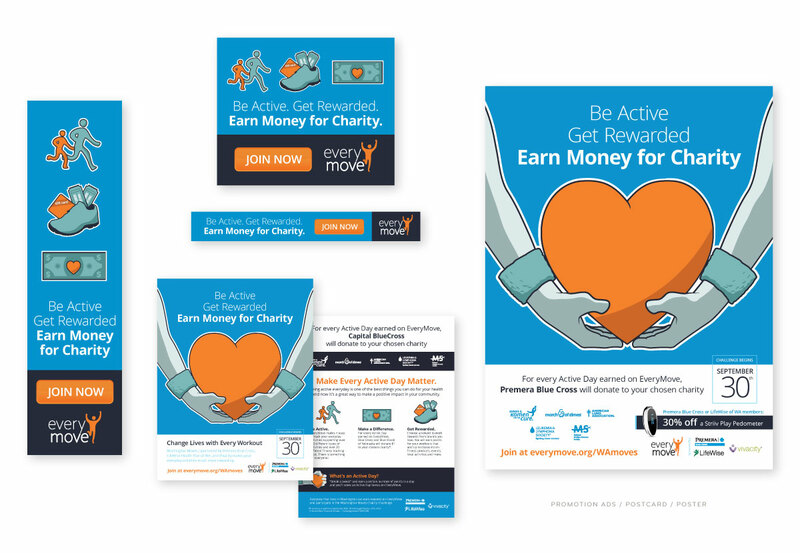 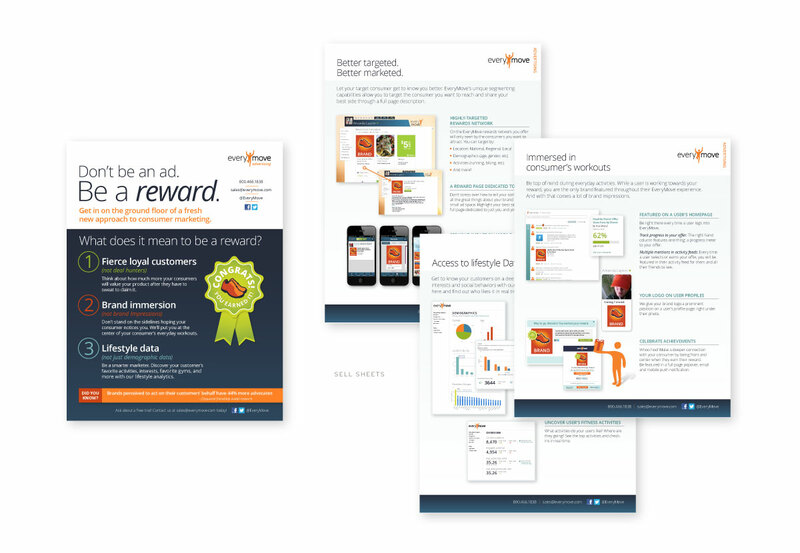 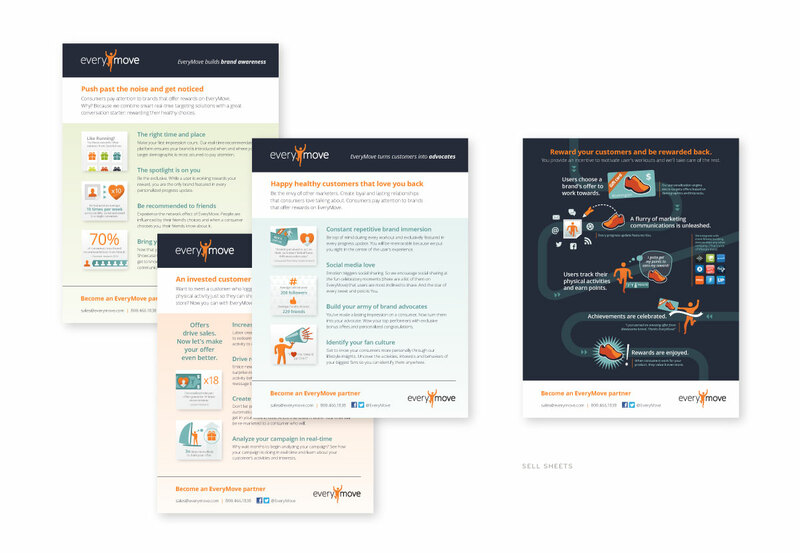 Atomic to the rescue – we created a variety sell sheets and marketing materials to explain concept to employers and enticing promotional items for employees.